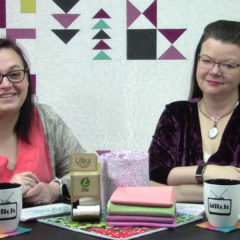 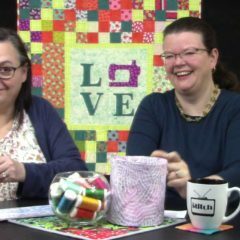 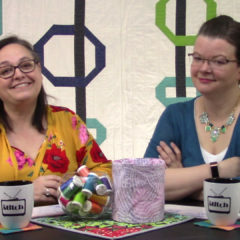 Join us for episode 414 of The Stitch TV Show, where we chat about wool applique and seasonal quilts. 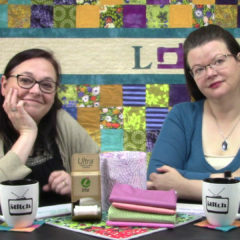 Join us for an episode on advice for new quilters and seam rippers! 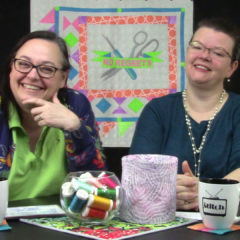 Join us for an entertaining quilting talk show episode on crumb quilts and our favorite and most-used sewing machine feet! 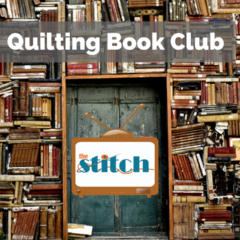 Join us live on Friday night Jan 25 for a Quilting Book Club discussion on two-color quilt books!